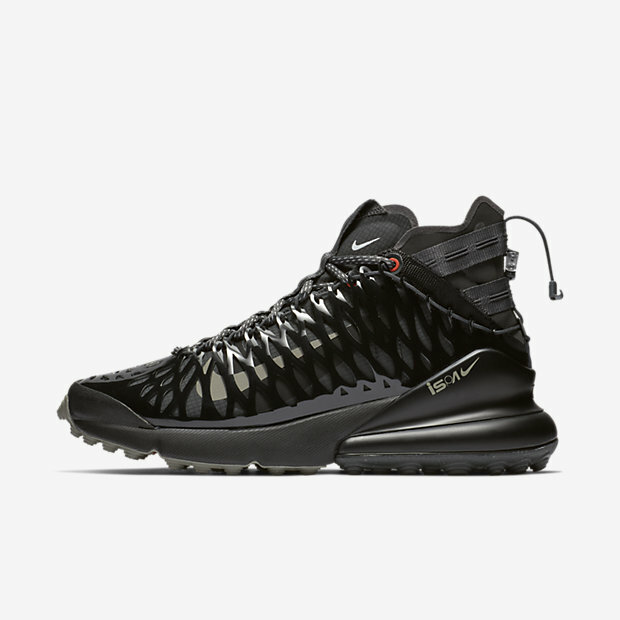 The Nike Air Max 270 ISPA is inspired by 2 icons of big Air: the Air Max 180 and the Air Max 93. It features Nike's biggest heel Air unit yet for a super-soft ride, and a rubber outsole in targeted high-wear areas for durability. Nike's revolutionary Air Sole unit made its way into Nike footwear in 1978. In 1987, the Nike Air Max 1 debuted with visible air in its heel, allowing fans more than just the feel of Air-Sole comfort—suddenly they could see it. Since then, next-generation Nike Air Max shoes have become a hit with athletes and collectors by offering striking colour combinations and reliable, lightweight cushioning.